With sadness but wonderful memories we announce the passing of Bert Burnside in his 96th year. Born in Kilrae, Northern Ireland, Bert was the second child of James and Emily Burnside. Brother to Doreen, Yvonne and Norm. Devoted and beloved husband of 60 years to Sheila (nee Mackenzie, deceased), he will be deeply missed by his daughters, Yvonne and Jeanette (Dr. Ronald Mittler), grandchildren, Jessica, Natalie and Nicholas, and sisters-in-law Peggy and Betty. Bert was a proud Canadian. He served in the Canadian Navy during WWII achieving the rank of Lieutenant. Bert graduated with a B.A.Sc. in Mechanical Engineering from University of Toronto in 1948. Postwar, he joined Grinnell Corporation, later ITT Fluid Products-Canada, retiring as President and General Manager after 40 years. A natural and gifted athlete playing hockey at OHL level, U. of T. Varsity football, and curling, golf was his focus and true passion. He golfed into his 80’s but a hole-in-one was sadly elusive. 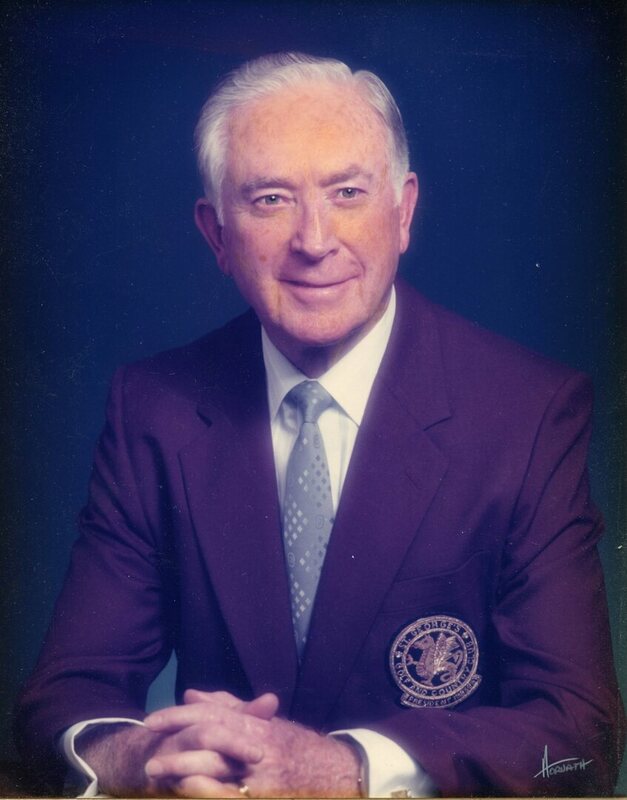 A member of St. George’s Golf and Country Club since 1951, Bert served as Club Captain 1962, Deputy General Chair of the 1968 Canadian Open Committee, Board member 1965-1969 and President in 1983-1985. For his time, dedication and proud service, Bert was honoured with a life time membership at St. George’s, his second home. Bert remains our voice of reason forever a promoter of education, business and sports. A special thank you to Drs. Griffin, Kaizer, Myers and Di Prizito, and the wonderful nursing staff at Trillium Health Partners, for their exceptional and compassionate care. A private family funeral will be held at Resthaven Memorial Gardens. In lieu of flowers, donations may be made to the Mississauga Hospital.